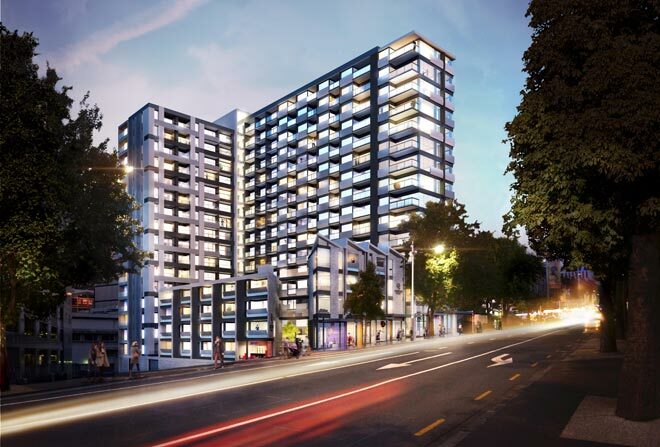 An artist’s impression of the Queens Square project in Auckland which offers a contemporary and vibrant living experience. KUALA LUMPUR: The Queens Square project in Auckland – a luxury apartment which consists of 226 superior freehold strata title residences and nine boutique retail shops – is available for viewing in Kota Kinabalu this coming weekend. Superbly located at Queen Street within Auckland’s premier shopping and entertainment precinct, Queens Street is likened to Shanghai’s Nanjing Road or Singapore’s Orchard Road, or Kuala Lumpur’s Bukit Bintang. The project is an ideal vertical community with an exclusive private world consisting of light-filled outdoor areas for a private retreat from a busy world. Residents may look forward to enjoying the tranquil, landscaped urban sanctuary and world-class amenities in the heart of Auckland’s most distinguished precincts. Queens Square is located within close proximity to highly regarded education facilities and amenities such as Myers Park, AUT, IMAX, Aotea Square, Town Hall, Countdown Supermarket, Elliot Stables Federal Street, Albert Park, Auckland Art Gallery, University of Auckland, Chancery, High Street Boutique shopping, Vulcan Lane, Sky Tower, Skycity Casino, Gucci, Prada, Louis Vuitton, Britomart, DFS Galleria, Viaduct Harbour, Ferry Building, Auckland Transport Hub and Vector Arena. Immerse yourself in a lifestyle of indulgence, luxury and convenience at Auckland’s most desirable address. Queens Square is designed by Leuschke Group Ltd Architects, one of New Zealand’s leading multi-award winning firms of Registered Architects. The project is developed by Conrad Group, New Zealand’s largest developers of residential apartments. All Property Solutions Malaysia specialises in quality properties locally and internationally. Whether you are an investor, owner or tenant, the company ensures you are well-informed through the free professional service. Purchasing a property can be a daunting task and making a smart investment decision requires a lot of homework. And this is where All Property Solutions Malaysia comes into the picture to clear your doubts. Grab the special weekend deal happening on July 25 and 26, 2015 from 10am to 6pm at Sutera Harbour Resort, Kota Kinabalu. For further information, please contact All Property Solutions at 018-2081886 or 018-2833016.